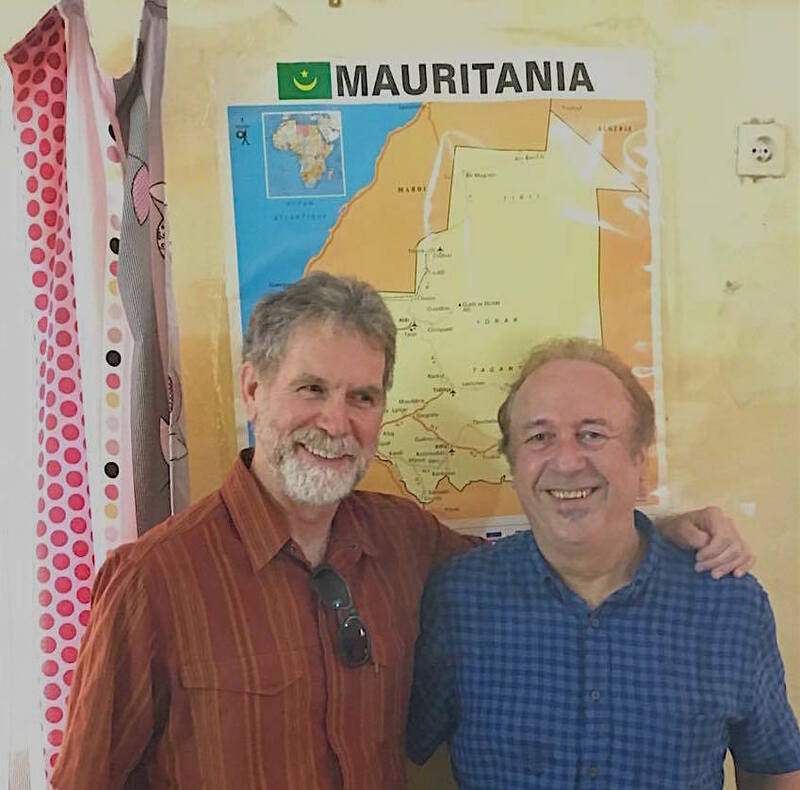 Greg Engle and Stephen Doster performed, played of music with many fantastic local musicians and had a great time talking to high school students about songwriting during their July 2016 trip to Mauritania. 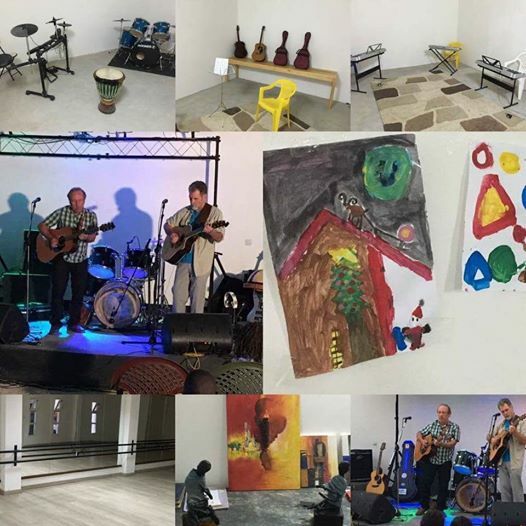 The trip, sponsored by the U.S. Department of State’s Arts Envoy Program and organized by the U.S. Embassy in Nouakchott, afforded yet another opportunity to reach across national borders to connect with people through music. 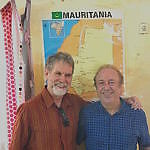 Mauritania, at the edge of the Sahara, is steeped in Sahelian musical traditions. 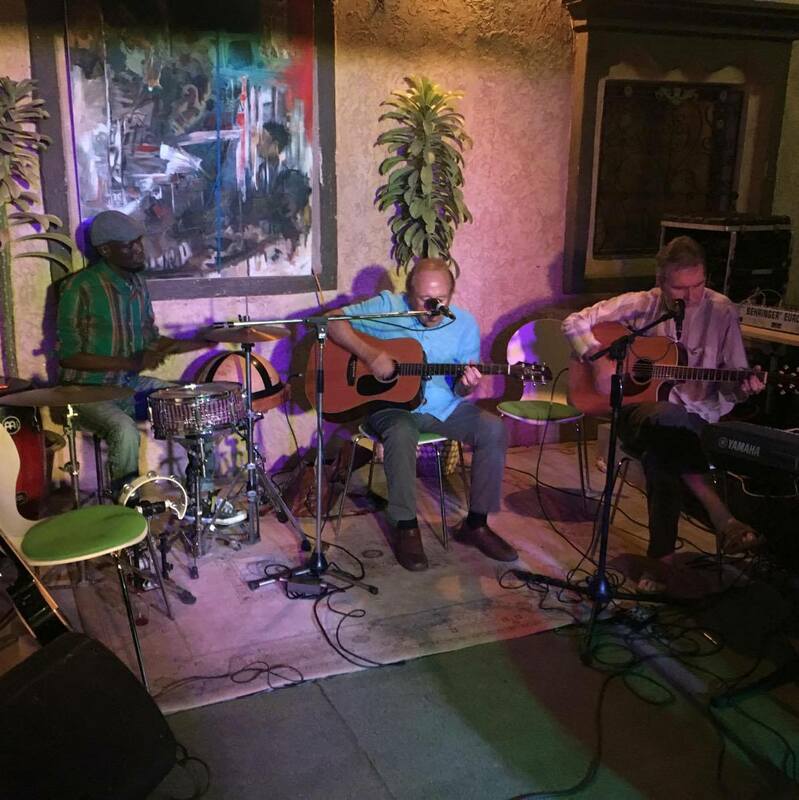 The musicians Doster & Engle had the pleasure to play with each had his or her own way to weave together rich Sahelian, African and Arabic styles with more modern genres. The Sahelian roots of the blues were striking. The music was beautiful. Two events were standouts. 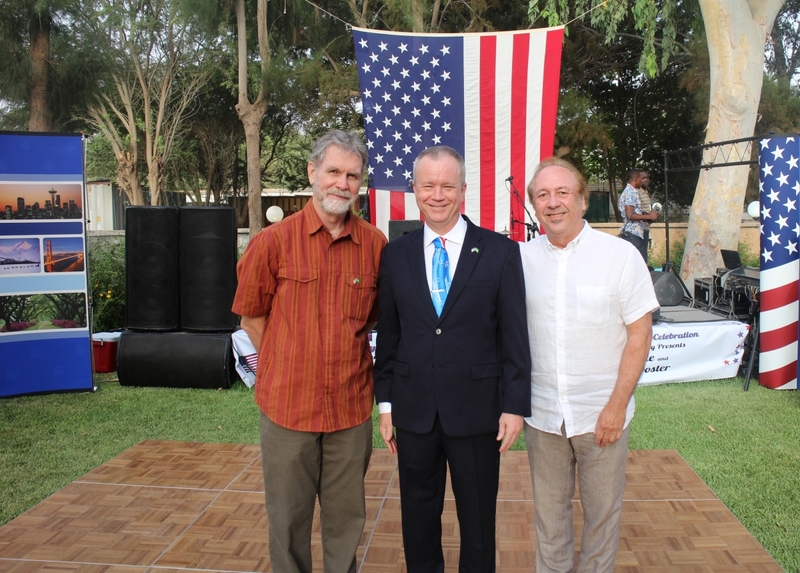 One was the Embassy’s Independence Day reception at which Doster & Engle played with Mauritanian songwriter and musician Cheikh Lebiad, who spontaneously made up and sang verses to “This Land Is Your Land” in Hassaniya — music diplomacy at its finest. 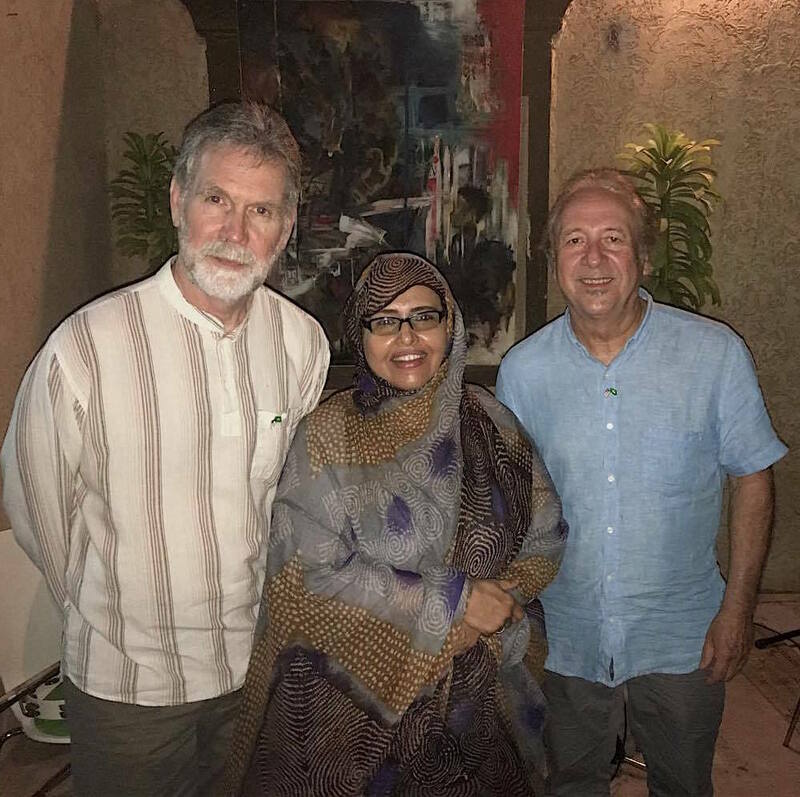 Equally inspiring was an evening with Malouma, one of Mauritania’s best known and beloved musicians, who also happens to be a member of the the country’s Senate. 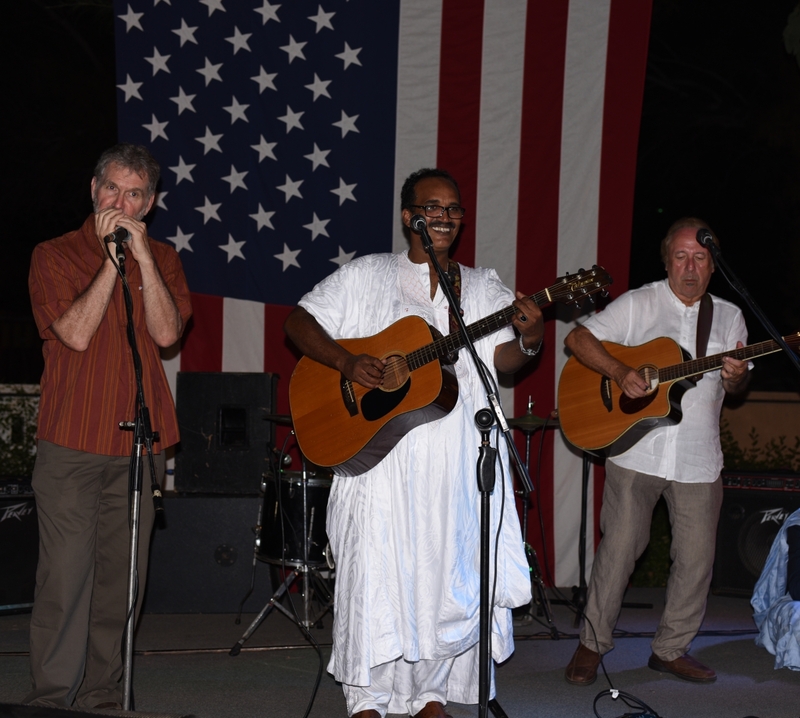 It was an honor and a thrill to play for and then with Malouma and her band. Click arrows in the gallery pane to view the slideshow.